Fly-through 6dF data to host galaxy. 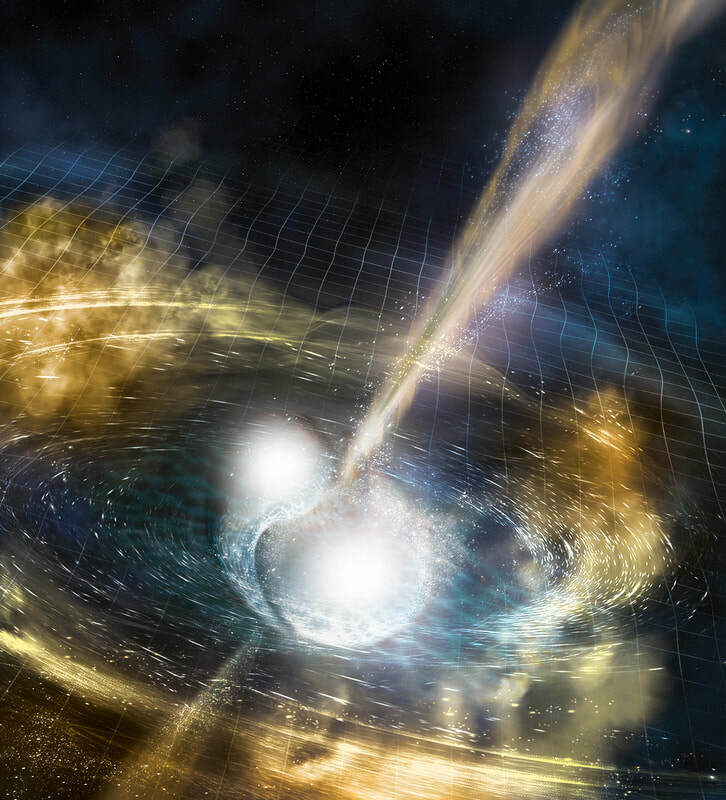 For the first time, scientists have measured the violent death spiral of two dense neutron stars via gravitational waves, and seen the subsequent fireball appear in the heavens. It is another landmark astrophysical discovery from an international team including dozens of Australian researchers and the LIGO-Virgo collaboration, and comes less than a month after the discovery of gravitational waves won the 2017 Nobel Prize in Physics. Never before have we known exactly where in the Universe gravitational waves originate from, nor been able to see the colossal events that created them. “This was the first time that any cosmic event was observed through both light it emitted and the gravitational ripples it caused in the fabric of space-time”, explains Professor Matthew Bailes, the Director of the ARC Centre of Excellence for Gravitational Wave Discovery (OzGrav). “The subsequent avalanche of science was virtually unparalleled in modern astrophysics”. 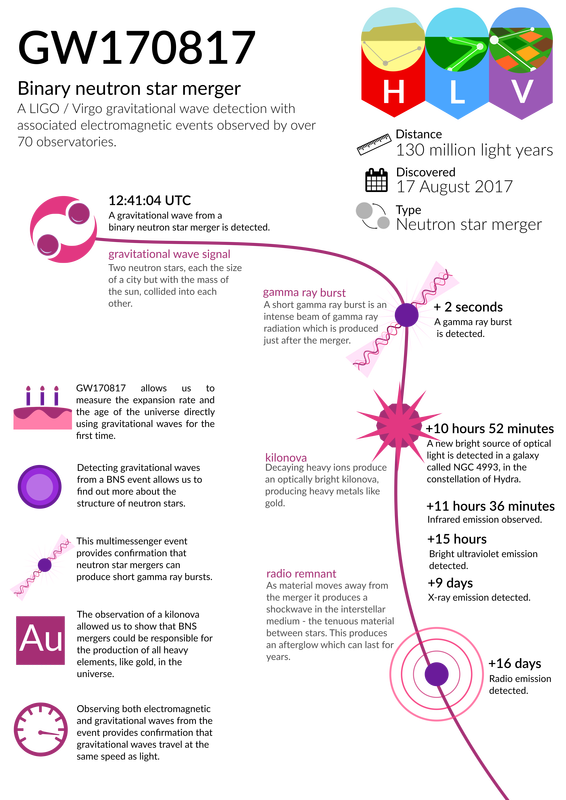 “Scientists have speculated that colliding neutron stars are the factories that create most of the gold and other precious metals in the Universe,” explains OzGrav’s Dr Kendall Ackley (Monash). “Witnessing this event makes that more likely. It feels like we’re now in a scientific ‘gold rush’”. The event had hundreds of astronomers in Australia and around the world scrambling for their telescopes. ANU’s Dr Christian Wolf (ARC Centre of Excellence CAASTRO/OzGrav) was literally woken up by the news and soon had the SkyMapper telescope pointing eastwards. As the Earth rotated Dr Eric Howell was waiting with UWA’s Zadko telescope to gain crucial information about the colours and brightness of the fireball as it cooled and faded. Meanwhile the chase began in Sydney. A team led by CAASTRO’s A/Prof Tara Murphy (University of Sydney) was the first in the world to confirm the radio emission, from the gravitational wave counterpart initially detected by US colleagues, using CSIRO’s Australia Telescope Compact Array. “When we got the alert we immediately put our team into action; it was perfect timing and this is intense, time-critical science,” said A/Prof Murphy, whose findings along with those from Caltech, Oxford and others is published today in Science. Indeed, another scientific-first occurred just 1.7 seconds after the merger concluded, when a burst of gamma-rays hit the Earth. “This instantly confirmed that merging neutron stars were responsible for the so-called short-duration gamma-ray bursts, solving a 50 year-old mystery”, explains A/Prof Andrew Melatos (University of Melbourne). 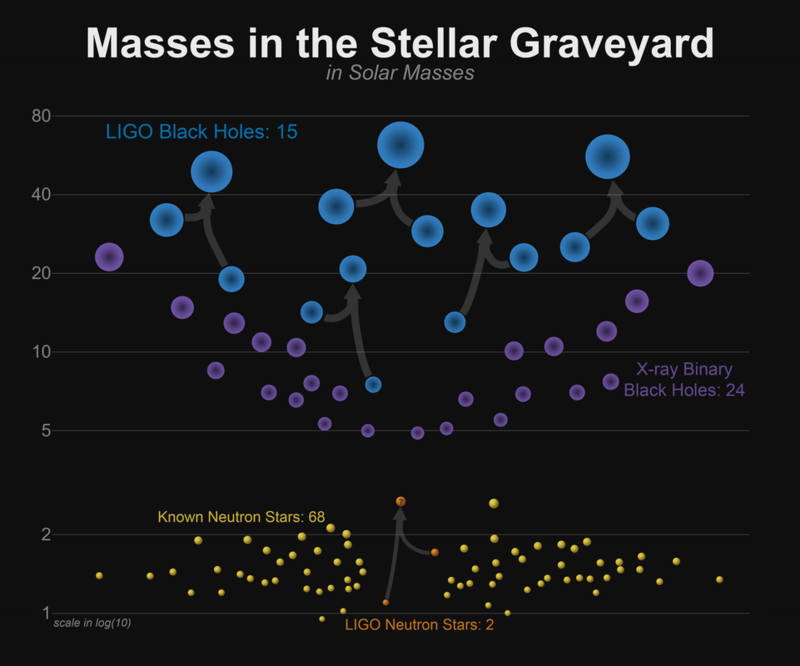 “It also demonstrated that the speed of gravitational waves was the same as light to just a few parts in 10,000 trillion - verifying a central prediction of Einstein dating back to 1915”. Further, the combination of the gravitational waves and its host galaxy redshift could be combined to measure the age of the Universe in a very fundamental way. “The age was remarkably close to the best estimates”, says OzGrav’s Prof Peter Veitch (University of Adelaide). “It is extraordinary that with one faint sound, the faintest sound ever detected, we have created one giant leap in our understanding of the universe”, says OzGrav’s Prof Ju Li (University of Western Australia). LIGO is funded by the NSF, and operated by Caltech and MIT, which conceived of LIGO and led the Initial and Advanced LIGO projects. Financial support for the Advanced LIGO project was led by the NSF with Germany (Max Planck Society), the U.K. (Science and Technology Facilities Council) and Australia (Australian Research Council) making significant commitments and contributions to the project. More than 1,200 scientists and some 100 institutions from around the world participate in the effort through the LIGO Scientific Collaboration, which includes the GEO Collaboration and the Australian collaboration OzGrav. Additional partners are listed at http://ligo.org/partners.php. The Virgo collaboration consists of more than 280 physicists and engineers belonging to 20 different European research groups: six from Centre National de la Recherche Scientifique (CNRS) in France; eight from the Istituto Nazionale di Fisica Nucleare (INFN) in Italy; two in the Netherlands with Nikhef; the MTA Wigner RCP in Hungary; the POLGRAW group in Poland; Spain with the University of Valencia; and the European Gravitational Observatory, EGO, the laboratory hosting the Virgo detector near Pisa in Italy, funded by CNRS, INFN, and Nikhef.